Maritime and Mercantile International (MMI) is the leading beverage supplier in Dubai. It has the largest selection of wines in Gulf with more than 1200 and a comprehensive selection of 400 leading brands of premium spirits. 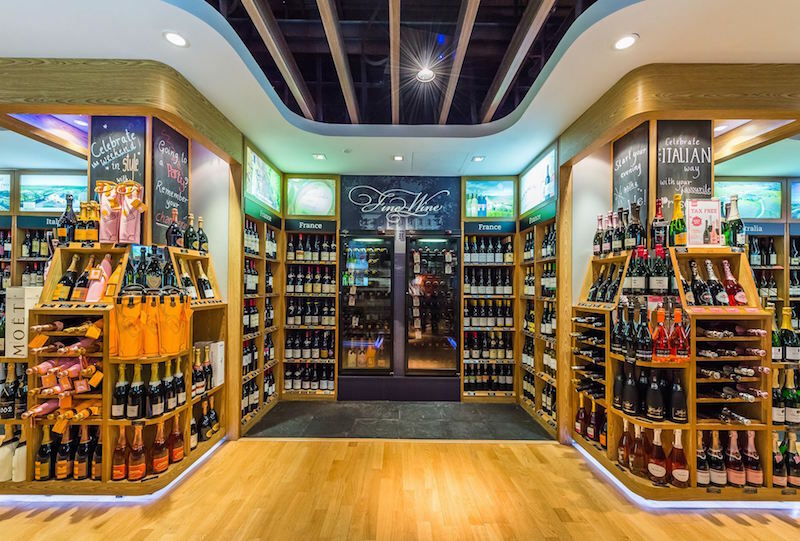 There are 15 MMI stores in Dubai offering the world`s leading wine, beer and spirit from leading brands and with over 2000 products. To purchase alcohol in the UAE, you need liquor license. Liquor licenses can be acquired from liquor selling shops- MMI (Maritime and Mercantile International) and A&E (African and Eastern). MMI can process these liquor applications and it offers its customers a wide range of benefits. With its innovations, MMI has brought cheer into the lives of its customers and consumers with its recently revamped and expanded AL Hamra Cellar and with its first award winning Le Clos retail concept store in fine wine airport retailing. Al Hamra Cellar is a tax free premium shop with alcoholic and non-alcoholic beverages at Ras Al Khaimah – a short drive from Dubai. It is a fine place with over 4000 products to pick your favorite brands in beers, wines and spirits. You can buy alcohol without license here. You can also shop online from its widest choices and make unlimited purchases at affordable prices. You can order online with collect it later. It is the process by which you can browse the selection of over 1000 products and pay for the order online. Once you place your order, the sales team of Al Hamra will contact you and confirm your order. They will also tell you when your order will be ready for collection. You can go personally or send an allocated person to collect the goods. They must bring the copy of the order of confirmation with them. Le Clos is a liquor store in Dubai owned by MMI, has set new standards in luxury wines and boutique range of products. There are five outlets and two flagship stores in Dubai International – Terminal 3 offering the finest wines and luxury spirits from the rare and most sought after spectacular brands. You can browse through the extensive collection of wines listed online from the vintages of Bordeaux to New World Stars lie Screaming Eagle and New Harlans. The champagne and spirits ranges include that of Macallan and rare Japanese vintage malts. If you are travelling through Dubai Airport, you can shop in store at these outlets or try their concierge style delivery service. You can buy online by browsing through their products listed online that ranges from the best wines and rare spirits across the globe. You can place your order after selection. Their stores` team will contact you through phone or email to confirm your order like delivery and payment details. You can also order for a personalized bottle engraving online. If you are arriving, then the team via the concierge style delivery service will greet you with the purchases made online upon your landing on the Dubai Airport. In case of departure from the Dubai International Airport, you can collect your purchases from any of the outlets in Terminal 3. What You Should Know To Have A Maximum Safe And Relaxing Trip To Dubai How to Get a Tourist Visa for Dubai 15 Ideas for an Awesome Dubai New Year’s Eve Best things to do in Dubai with kids How To Create An Online Store And Develop Your Business?